I'm not a serious bird watcher, but I do enjoy watching birds, it's relaxing. 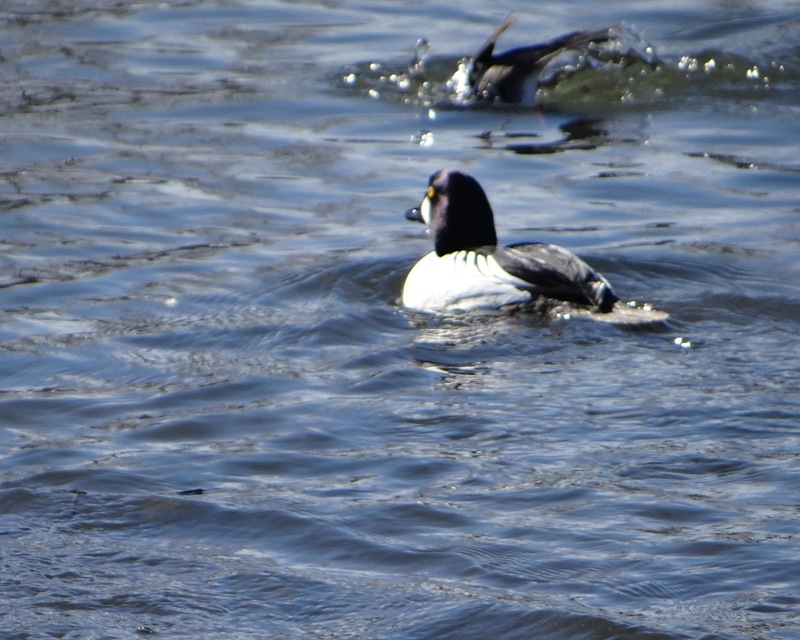 Today was a very pleasant day here in Anchorage so after going to the Eastern European Market we went looking for the one of the kinds of duck that will overwinter for as long as there is open water sometimes. 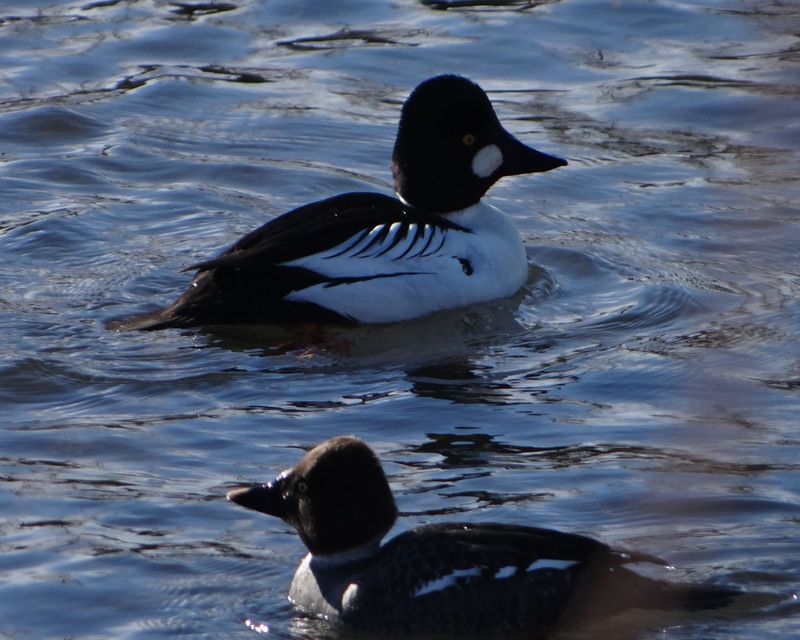 Common goldeneye, easy to identify, they have a big white spot on their cheek, a distinctive black and white pattern and they are fun to watch because they are pretty active. They don't just float around looking mellow and comfortable. They dive underwater, completely. 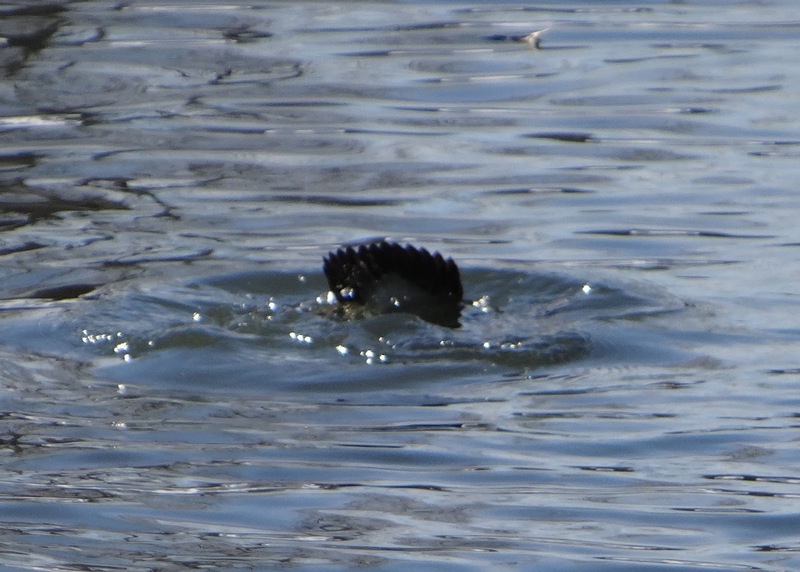 Diving down to get food and come splashing up a little distance from where they started from. Sometimes 2 or 3 go down in the same area and all seem try to come up in the same place. 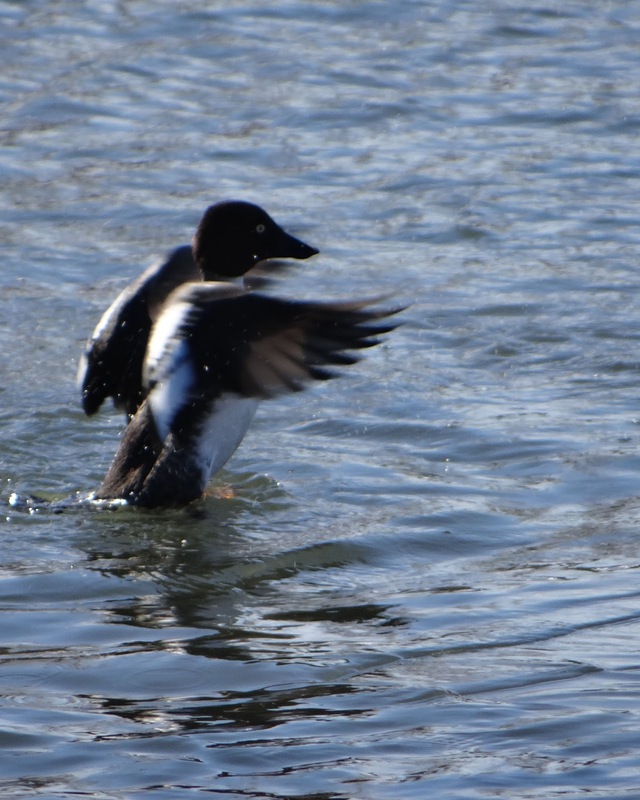 There is a lot of flapping. Along with ravens and magpies, they are some of the most active birds to just watch. For ravens and magpies, I just have to step outside my front door. 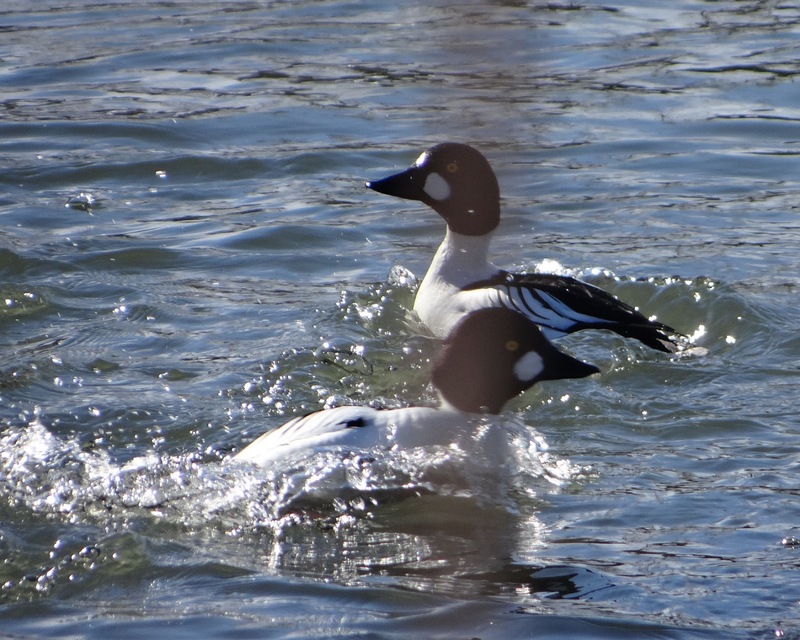 These are in a few places around Anchorage, but the one of best places to view ducks easily in the Anchorage area is Westchester Lagoon. It's very accessible. I'm looking forward to it getting warmer and getting out to see the sandhill cranes and other birds that will come back, but it's also nice to see the ones that don't seem to mind the winter so much.